The inland, coastal and marine waters of the UK all hold internationally important bird populations. The BTO undertakes a broad range of research and monitoring work on the waterbird and seabird populations that use these important but dynamic environments, improving understanding of the status of some of the country’s most important conservation sites. In our role as a partner in the Wetland Bird Survey (WeBS) we organise 3,000 volunteers to systematically monitor the populations of UK’s non-breeding waterbirds. 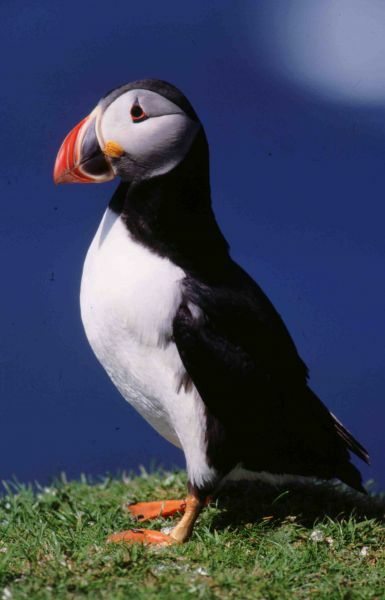 We are also a partner in the Seabird Monitoring Programme (SMP) that monitors the populations and breeding success of the UK’s breeding seabirds. Information from these schemes is used to determine the condition of sites protected under domestic and European legislation for their important waterbird and seabird features. Our co-ordination of the Wetland Bird Survey enables us to develop new methods that help gain scientific understanding of waterbird population dynamics, while we also aim to improve monitoring coverage of all of the UK’s breeding and non-breeding waterbirds and seabirds. Members of our team are also currently working on developing a national sea-watching scheme to further our knowledge of seabird movements and distribution away from breeding colonies. Our research work aims to investigate the key drivers of waterbird and seabird population change, which include climate change and renewable energy schemes, changes to and loss of habitat, disturbance and introduced non-native species. Niall Burton (Head of Wetland and Marine), Graham Austin (Senior Research Ecologist), Liz Humphreys (Senior Research Ecologist, BTO Scotland), Chris Thaxter (Senior Research Ecologist), Aonghais Cook (Senior Research Ecologist), Gary Clewley (Research Ecologist) and Ros Green (Research Ecologist). BTO research sheds light on the differing fortunes of two small UK-breeding waders. Protected sites are assigned based on population statistics for vulnerable and endangered species. This new study using WeBS data shows that changes in population size can affect local abundance, and thus influence whether or not key targets are met for site protection.